If I hadn’t already put some space aside for this one, I wouldn’t have bothered once it became clear that the label was going to be difficult. This was an overpriced disappointment. 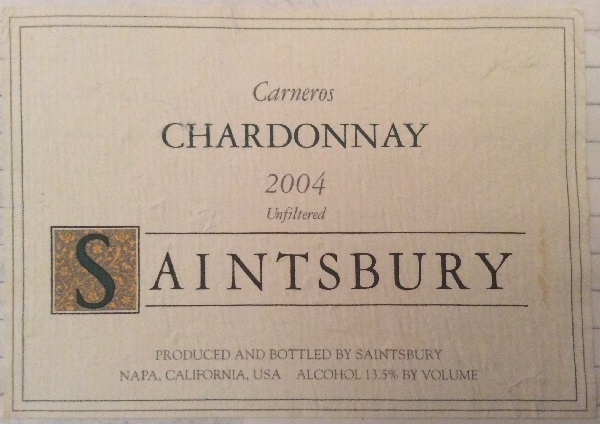 A couple of days after opening, Jancis Robinson posted an article that rang very true, about alcoholic, uninspiring California Chardonnays. This wine doesn’t know what it is. Mid yellow-gold with green glints. On the nose, corn-on-the-cob notes, then both lemon sherbet and coconut hints emerge clearly, followed by herby notes – mint or tarragon? Weird palate. Fresh, butterscotch, laced with the top note of mint – peppermint. Moderate acidity. Medium-length, creamy, toasty finish, but the alcohol is ever-present and somewhat distracting. I hope my second bottle improves with age.